In todays competitive corporate world, emotional fitness is key to driving customer advocacy on the frontline. In the aftermath of digital disruption, the services sector has undergone a significant transformation. A people-centric approach is now crucial to engaging meaningfully with customers and creating brand advocates on the front line. Thats why CEOs and leaders are prioritising emotional fitness in staff recruitment and training. Emotional fitness is an individuals ability to bounce back emotionally and adapt to difficult situations. It’s about key self-skills like self-awareness and empathy for others  skills that ensure a person can cope in challenging frontline roles. Frontline call centre interactions can sometimes be demanding, requiring mental agility and emotional resilience. Recruiting employees for emotional fitness will help you create a robust and engaged frontline team. Emotional fitness can also be taught. Training existing call centre employees to harness self-skills and Emotional Intelligence (EI) will ensure people can adapt to anything, driving more positive interactions and relationships with customers. Why is Emotional Fitness important for business? 52% would pay more for a speedy and efficient customer experience. 73% said that a good experience is key in influencing their brand loyalties. Frontline call centre employees who tune in to customers emotional needs have the edge when it comes to selling and solving customer problems. People need to understand why they are part of an organisation, so they can be loyal and believe in what they do, and ensure that customers believe in that too. CEOs and leaders, here are three key ways to leverage emotional fitness in your recruitment and training. 1. Recruit for emotional fitness. To drive customer advocacy on the frontline, organisations need to recruit staff with the emotional fitness for the role. The best frontline employees demonstrate EI competencies, understanding how to regulate their own emotions and empathise with the emotions of others. They should also be aligned with your company culture and committed to exceeding customer expectations. Employees with high EI are more motivated, committed, and engaged in their role, contributing to a positive work culture and better customer experiences. They are people who demonstrate resilience, self-management, and strong working relationships with others. Choosing emotionally fit people for frontline roles will help you get ahead in the market, boosting company sales both now and in the future. 2. Develop EI and self-skills for existing employees. EI and self-skills aren’t restricted to any one type of business, industry, or organisation type  nor to a certain individual. These skills are emotional strategies that can be taught. When EI and self-skills are fostered and nurtured, workplace performance and productivity are enhanced in the long-term. A successful frontline interaction is almost entirely dependent upon the EI skills of frontline staff. Customer advocacy happens when customers have experienced the limits of self-service technology and need a person to show up to solve a problem or personalise a solution to their specific individual needs. These moments of truth are where loyal brand advocates are created. 3. Engage call centre employees to drive customer advocacy. 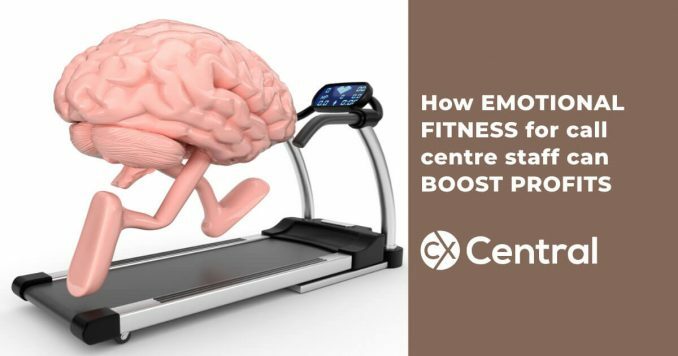 Emotional fitness and effective EI skills drive deeper employee and customer engagement, leading to greater commercial success. Highly engaged employees are the people connected to the organisations purpose  those who will go that extra mile, stay longer, and become brand advocates. Driving employee engagement will ensure that customers receive a positive experience time and time again. When employees believe in what they do, they engage more meaningfully with customers. Highly engaged employees tailor interactions to the individual needs of customers, ensuring every little thing is taken care of. This creates raving fans who do the selling for you. To get ahead in todays competitive business climate, CEOs and leaders need to recruit for emotional fitness and train employees in EI, with self-skills at the core. This will ultimately lead to highly engaged call centre employees who interact more meaningfully with customers, lifting customer advocacy on the frontline and delivering greater commercial success.